Construction of the world’s tallest mass timber building is underway in Vancouver at the University of British Columbia. Acton Ostry Architects designed the student residence, called Brock Commons, to house 404 students inside an 18-story hybrid of wood, steel, and concrete. The project is expected to be finished by next summer. 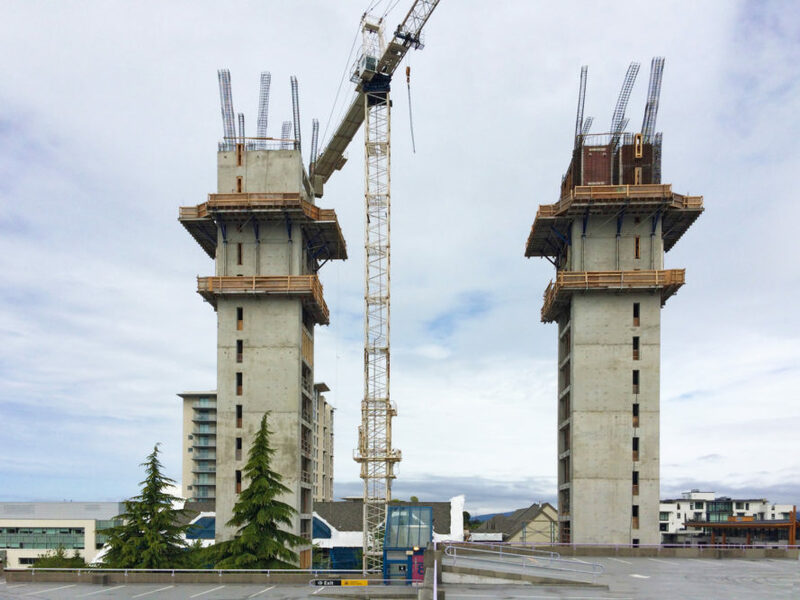 Building began in November of last year and the freestanding concrete cores should be completed by the end of May. The residence will stand at 53 meters (173 feet) tall and will include both studio apartments and quad units, as well as study spaces and areas for students to socialize. The project is estimated to cost $51.5 million and will be worth the price, as the architects are targeting LEED Gold certification. The building itself is a hybrid of CLT floor slabs, glulam columns, steel connectors, as well as the concrete cores currently being constructed. It is hoped that once the cores are completed, one floor per week can be constructed, followed by the metal roof deck. Specialists of tall wooden structures, Architekten Hermann Kaufmann are advising the project, Fast + Epp are guiding structural engineering, and GHL Consultants Ltd. are providing expertise in science and building codes. Last July a two-story mock-up was built to test out the design’s adherence to LEED Gold certification standards. The building, which will be plugged into the UBC district energy system, is projected to have a carbon benefit of 2,563 metric tons. Once the building can be thoroughly studied, standards for hybrid wood structures can improve and more of them can be constructed around the country. The building itself is a hybrid of CLT floor slabs, glulam columns, steel connectors, as well as the concrete cores currently being constructed. It is hoped that once the cores are completed, one floor per week can be constructed, followed by the metal roof deck. Architekten Hermann Kaufmann are advising the project regarding tall wood structures, Fast + Epp with structural engineering, and GHL Consultants Ltd. as consultants fro science and building codes. Last July a two-story mock-up was built to test out the design’s adherence to LEED Gold certification standards. The building, which will be plugged into the UBC district energy system, is projected to have a carbon benefit of 2,563 metric tons. 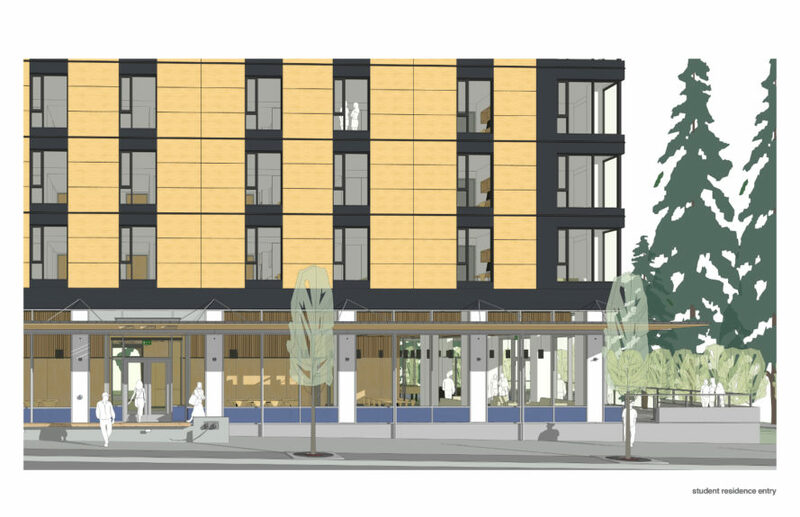 Once the building can be thoroughly studied, standards for hybrid wood structures can improve and more of them can be constructed around the country.